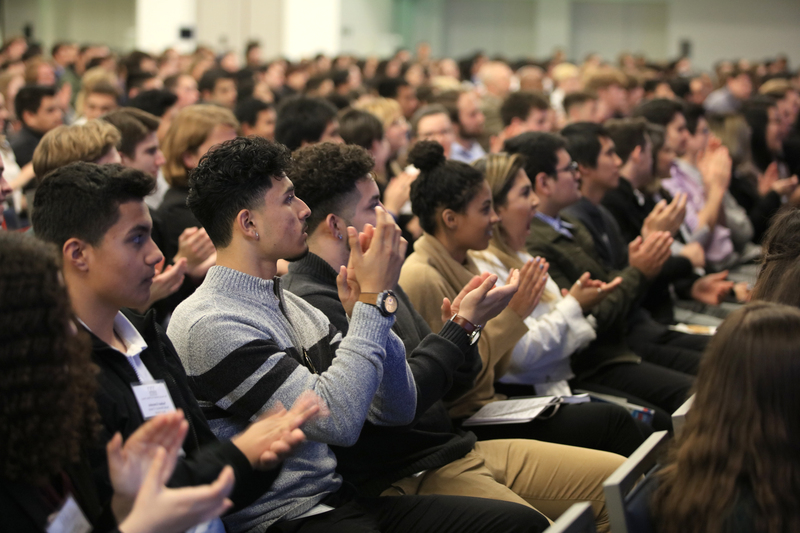 Every year 1,000 students from around the Central Coast north to Vallejo have the opportunity to participate in lively discussions with speakers in the Leon Panetta Lecture Series by attending the Institute’s afternoon student program held prior to each season’s evening lecture. 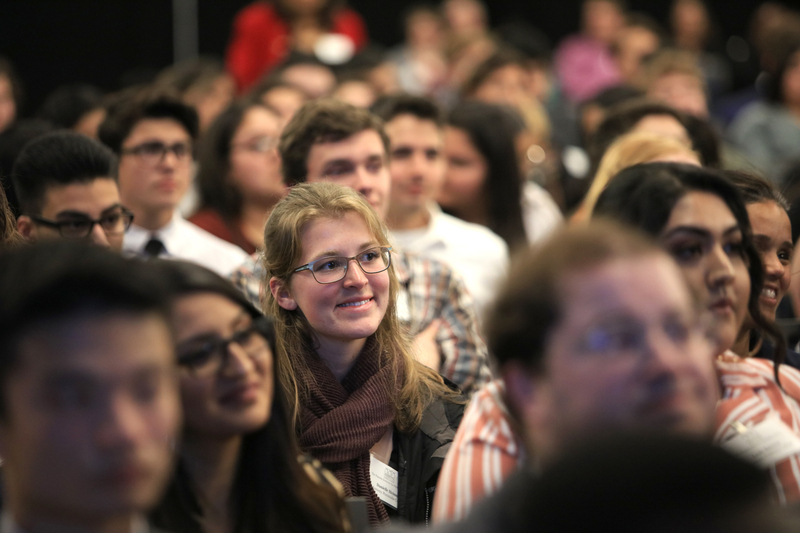 In keeping with our mission of attracting young people to lives of public service, The Panetta Institute for Public Policy ensures that featured speakers are heard not only by ticket holders in the lecture hall but also by students from our surrounding communities. 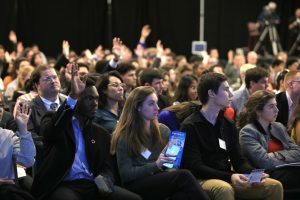 Students are able to interact with the national leaders by listening and by asking them questions on the selected topics. Students who participated attend Central Coast and Northern California high schools, colleges and military installations, addressing issues that relate to the selected topics and answering students’ questions. Students are prepared for these sessions by attending lectures by Sonia Banks and Richard Kezirian, Panetta Institute professors. Ms. Banks and Dr. Kezirian offer background and context on issues related to what the students will be hearing from the speakers. In addition to the Afternoon Program, for the seventh consecutive year the Institute in 2018 conducted a preliminary mid-week session before each of the lectures for a special group of interested students from local area high schools. Students meet with the Panetta Institute’s professors, along with local community leaders and Institute Co-Chair and CEO Sylvia Panetta to discuss the upcoming topic. As a result, these students are better prepared for the question-and-answer period with the featured speakers. These mid-week sessions are an important addition to the Institute’s programming. 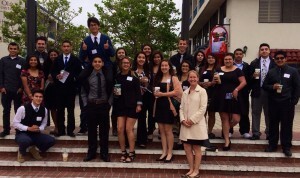 Special efforts are made to recruit students from underserved areas. Please contact us for more information on how to participate.